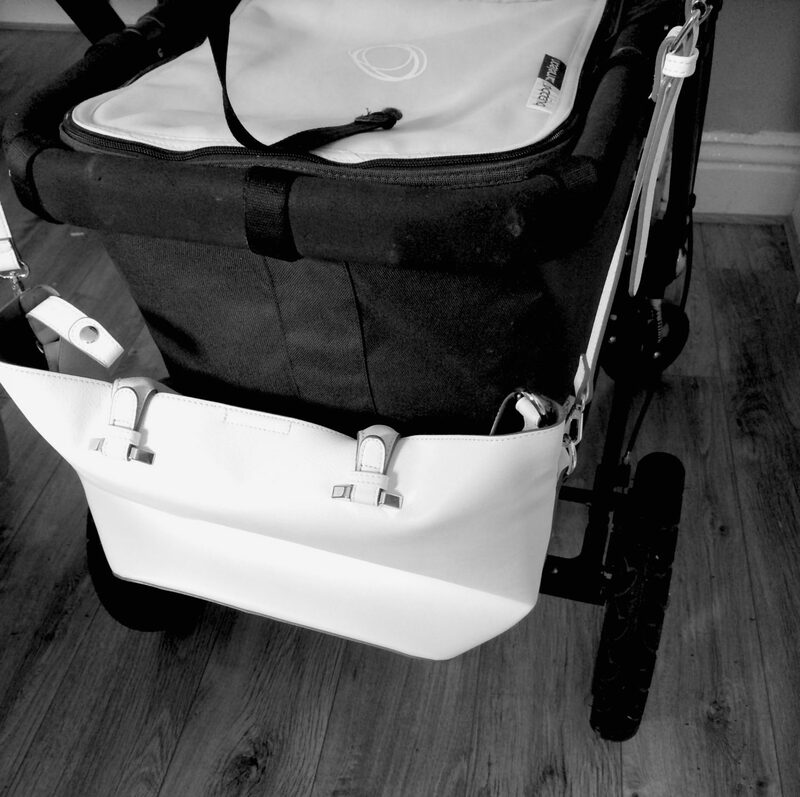 Since about 20 weeks pregnant, or rather from the moment we were assured that things in this pregnancy were progressing “normally” I began to make plans of what pram, crib and changing bag I might want this time round. I have waited til almost the end of pregnancy to actually purchase these items due to all of my apprehensions, but I got there in the end buying my crib a few of weeks ago, our travel system/car seat shortly after, and now the changing bag which has been the final one, as lets face it, its not an essential like giving them a bed! 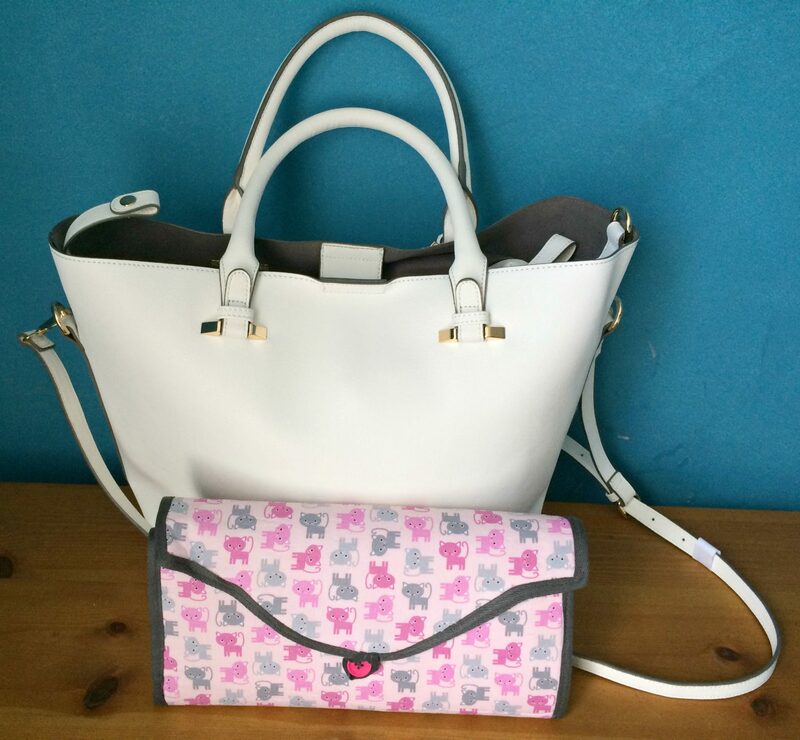 I wasn’t 100% sure on what bag to go for and it has taken me a good few weeks to make a purchase as I wanted to be sure it was stylish, practical, good value and that I REALLY loved it. I then had the dilemma that I couldn’t decide between a backpack or a regular bag, but one thing I was sure on was that I really didn’t want a standard changing bag. 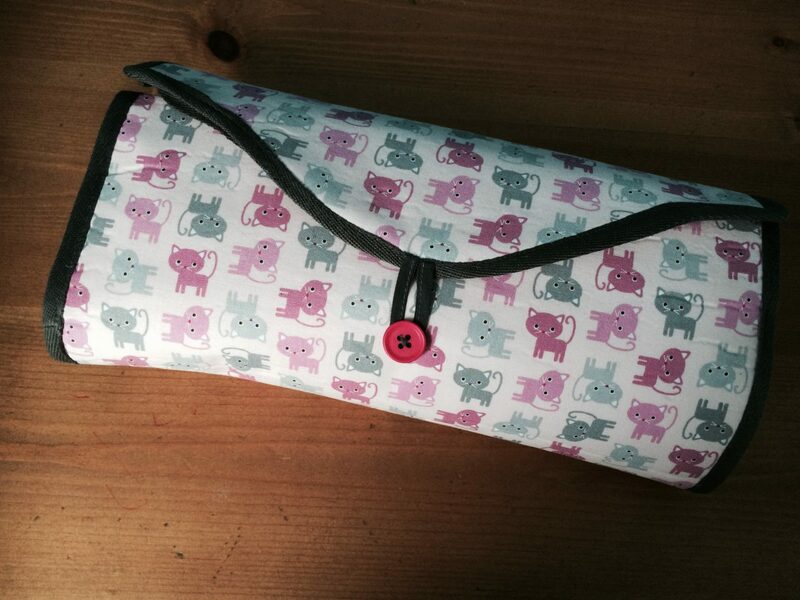 Instead I was set on a lovely regular bag with a nappy wrap inside to hold baby stuff. 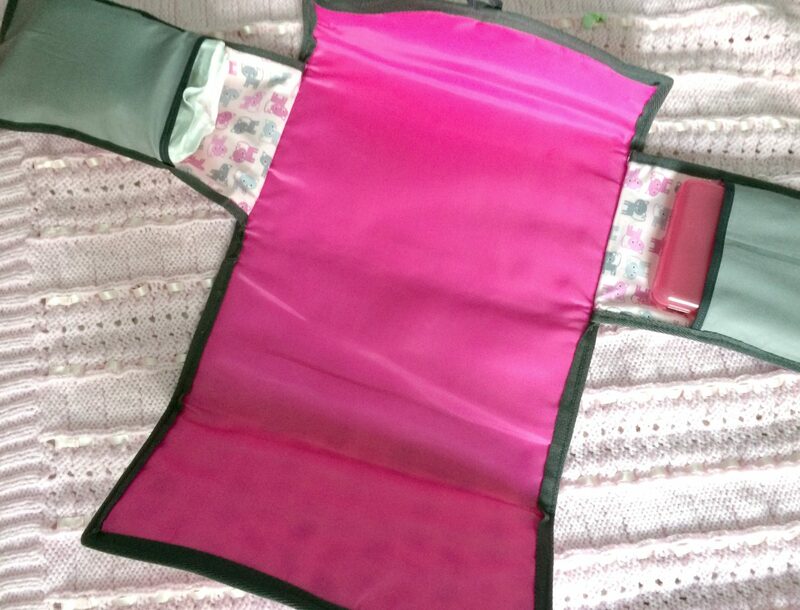 I looked all over the web at various nappy wraps but the fabrics weren’t jumping out to me, so in the end I ordered one from a local FB business and not only was she fab in making it to my specifications but then it was intercepted by my friend who kindly purchased it as a baby gift!…isn’t it lovely? So once that was sorted it was onto the actual bag… I narrowed it down to this lovely lot (most were on sale too – bonus). The 1st one is from Dorothy Perkins and I had my eye on it for a while, in the end the suede panel put me off as I worried it might look rough from rain or kids sticky fingers. I briefly loved the far right pinky one from River Island but something didn’t feel right, I am thinking maybe too seasonal. 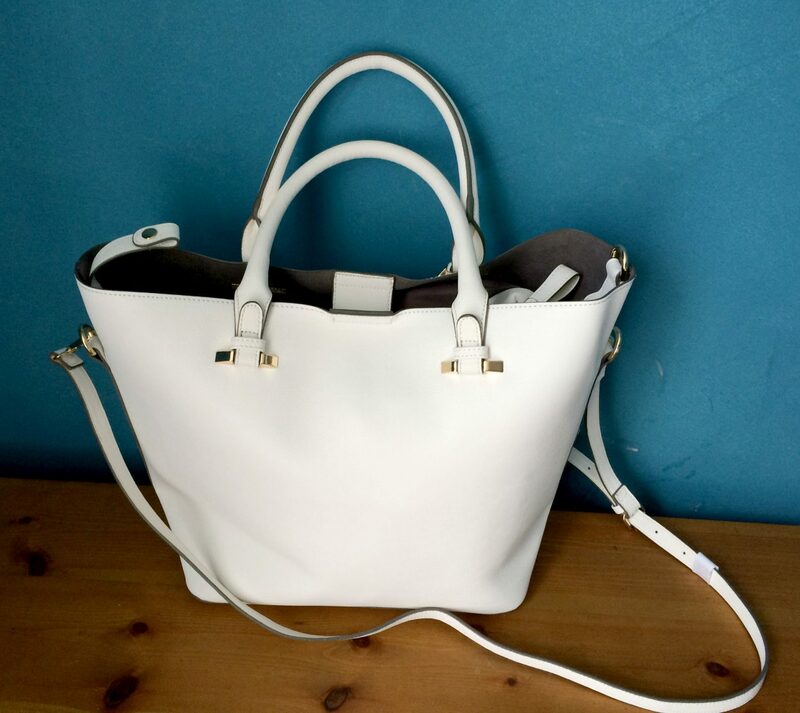 The middle I LOVE, its from Zara and is super lovely, I didn’t go with it because it just looked a bit too big, but I am still considering it as a weekend bag! !